The Idiots Introduction to Audio Interfaces | WhatsTheScene? If you have ever considered recording professional quality audio, you have probably been told hundreds of times that the first thing you need is a good “sound card”. You go looking around for these fabulous magic boxes that are supposed to turn you into a professional sound recordist. But, the number of options that one has today are, at a first glance, simply mind-boggling. Every brand out there is vying for your money with large amounts of confusing technical data that seem completely incomprehensible. And you find yourself confused worse than before! Most people give up at this stage and just buy what is popular on online forums and shopping websites, without really understanding what their “sound card” is built for. This introduction to audio interfaces (as “sound cards” are called more professionally) is meant to help out all those confused musicians, and other audio enthusiasts, out there who want to understand the various functions and the different varieties of audio interfaces, and determine which is best suited for what they want to do. To those who aren’t very computer friendly, I may need to point out that every computer already has an in-built sound card. This is used primarily for audio playback from the computer, such as mp3′s, movies etc. They are not built to be high-quality recording devices. Just enough recording capability for voice and video chat. If you are reading this, then you probably want to do more with audio. Record instruments perhaps? Or maybe cut an album from home? You would then require a professional audio interface. I will discuss some of the basics of audio interfaces, so that the beginner may get an understanding of the specifications that differentiate the avaiable options. For the advanced reader, excuse my liberal usage of techincal words to explain some technical details. I don’t mean to misguide, but merely to use common language to get the idea across. Technically, there are a lot of different parameters that characterise an audio interface. In this introduction, we will just go over the basic parameters involved, to get a rough idea of what are the fundamental parameters that will make the biggest differences to an audio interface. We will talk about, Analog-Digital Conversion(ADC), Bit Depth & Sampling Rate. We will discuss Inputs/Outputs(I/O), Pre-Amps and Phantom Power, in the context of audio interfaces, in Part-II of this article. The sound that you are trying to record is recorded as an electronic signal, either analog or digital (further reading, Digital Signals). You may say, “No, No! I’m only recording a tabla. That’s not an electronic signal!” Well, the tabla gets recorded through a microphone, which sends electronic signals to the amplifier. This is really what gets recorded. Let me put it this way, “Have you ever listened to recorded music without electricity?”. Well, you can’t because all recordings are stored electronic signals. A typical signal of this kind is shown. Now, going ahead, the computer is a digital device, i.e., it can only understand 0′s and 1′s (digital signals). So, for you to get the microphone signal into the computer, the signal has to first be converted into a sequence of 0′s and 1′s that the computer will understand. This is the most important function of any audio interface. Anything else that it does is merely an additional feature. But today, these additional features have become so common that it is normal to expect your audio interface to do a lot of things. These additional features add to the complexity of deciding which audio interface to buy. But, I digress. Coming back to ADC, lets take a look at how the analog signal gets converted into digital signals that the computer understands. The analog signal that you plug into your audio interface gets cut-up into tens of thousands of short pieces over one second. The speed at which this slicing happens is called the Sampling Rate. The figure shows how this is done. The word Sampling, refers to the act of slicing. And the word, Rate, obviously referring to the speed at which this is happening. The lowest acceptable sampling rate for sound recording is 44.1KHz. This means that one second of sound is cut-up into 44,100 slices. Its hard to grasp the enormity of this number, but this is truly the lowest acceptable number (further reading, Nyquist Criterion). Ideally, your audio interface needs to be capable of sampling rates of 44.1Khz or more. Audio interfaces come with sampling rates of upto 192Khz. The most commonly used sampling rates are, 44.1Khz, 48Khz, 88.2Khz, 96Khz and 192 Khz. It is not enough that the signal gets sliced with time. It also needs to be sliced with amplitude of the signal. The number of times this amplitude-slicing happens is called the Bit Depth. The figure shows how this is done. 8 sliced levels corresponds to a bit depth of 3bit. The standard bit-depth of an mp3 player is 16-bit, which corresponds to 65,536 levels. Studio grade, professional audio interfaces, have a bit-depth of 24-bit. This corresponds to an astronomical number of 1,67,77,216 sliced levels! In the specification of any audio interface, it is important to mention the bit-depth and sampling rate together. These are independent parameters, and together they make a sensible assessment of the capacity of the audio interface. The figure shows how the bit-depth and sampling rate togther slice any sound into little boxes, which the computer can now understand. 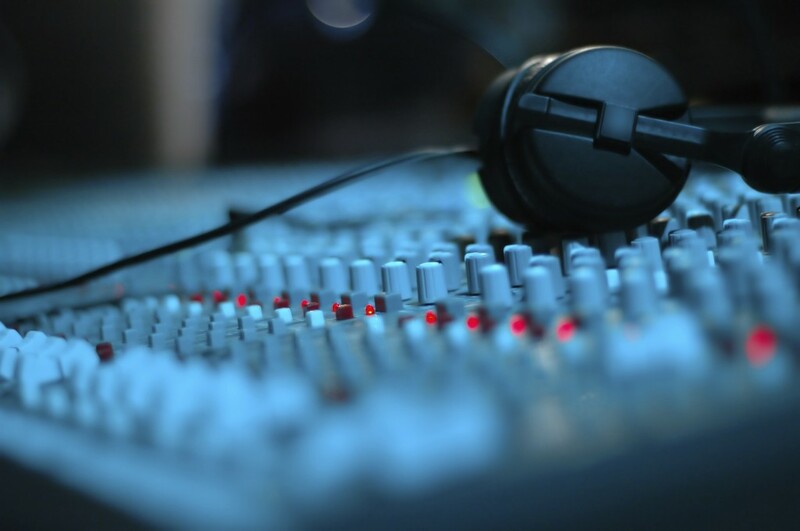 To assess any audio interface, you have know what are the acceptable standards in the industry. Most studio grade recordings are done at 24-bit, 96Khz these days. But 24-bit, 44.1Khz and 24-bit, 48Khz are still acceptable. An audio interface which is 16-bit is not considered professional quality these days, whereas it was about a decade ago. So, do look out for 24-bit, 96Khz audio interface if you intend to studio quality recording. Its a worth-while investment even if it is a tad expensive. If you are just interested in converting some old tapes etc and are happy enough with mp3 quality, then opt for a 16-bit audio interface. It should get the job done at a considerably lower price. With this basic understanding of audio interfaces, this author hopes that your hunt for an audio interface becomes easier. I also do music tech consultancy at my start-up, Minim Sound Labs, so do leave me message if you want to know more, or have any questions.